Description: Tilton House: A beautiful five bedroom, 4.5 bath home with pool in downtown Edgartown, three blocks from the town center. The house is 5000 square feet, with a 1.5 car garage and exterior parking area for two cars. The decor is casual country elegance.On the main floor there is a vast professional kitchen, which features a six burner Thermador range, Subzero refrigerator, 4' x 8' center island, built in desk, and an old fashioned butler's pantry. 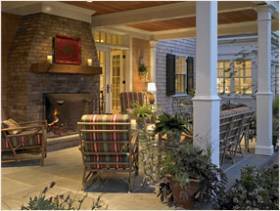 A mudroom and outdoor shower is located by the kitchen/sunroom entrance for convenience. 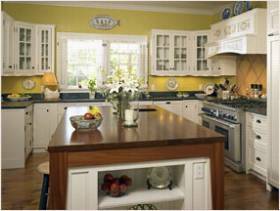 The kitchen includes a sunroom, breakfast eating area, and media center. 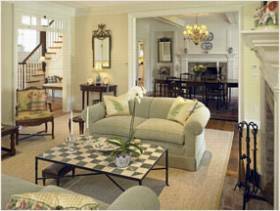 There are three spacious living areas on the first floor, each with their own fireplaces: the living room, the antique pine library, and the dining room. French doors from the living room open onto the large flagstone terrace with outside wood fireplaces, overlooking the pool. There is also a built-in grill. 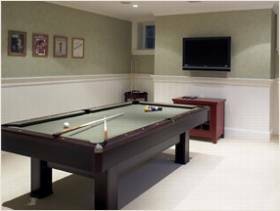 The lower level of the house consists of a billiard room with a flat screen TV, DVD player, and sound system. 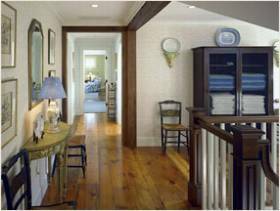 In addition, there is a twin-bedded room with full bath, a large cedar lined closet, and a laundry room. 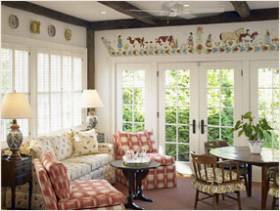 On the second floor, there is a cozy sitting area with four large bedrooms. 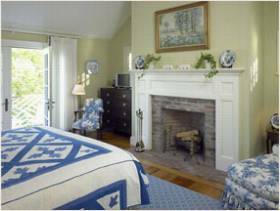 The master suite features a king sized bed, double closet, fireplace, and deck. Additional Photos of Property 468 in Edgartown.